According to the poll conducted by the Public Opinion Programme of the University of Hong Kong and Public Opinion of Political Reform Concern Group respectively in January 2015, 43% and 49.5% of the respondents were in support of “pocket the proposal first” in the respective poll, and those against it amounted to 32% and 38.1% respectively. (Note 1) However, pan-democratic Legislative Councilors still insist on their original position, namely that regardless of the trend of public opinion, the pan-democrats will vote against any Chief Executive universal suffrage proposal of the government based on the August 31 Decision of the Standing Committee of National People’s Congress (NPCSC). This article argues that “pocket the proposal first" reflects a rational, pragmatic folk wisdom. On the other hand, the attitude and stance of pan-democrats are also understandable. I think that many people are willing to "pocket the proposal first” not because of their ignorance of democracy and universal suffrage, but because they understand that in order to promote democratic elections in Hong Kong, one cannot talk about abstract ideals alone (including the so-called "international standard" or "genuine universal suffrage "). Restrictions posed by political reality must be considered. The political reality of Hong Kong is that Hong Kong is not an independent sovereign state. Hong Kong is a special administrative region of China. Under "one country two systems", “one country” is the pre-requisite of “two systems". The Basic Law provides that the Chief Executive must be appointed by the Central Government after being selected through election in Hong Kong. Therefore, the Chief Executive of Hong Kong must have the trust of the Central Government and support of Hong Kong people at the same time. Neither is dispensable. If the August 31 Decision of the NPCSC implies that the Nominating Committee should first nominate two to three candidates that the Central Government deems acceptable (in line with the so-called "patriotic” (love China and love Hong Kong) standard), and then have one of them chosen by the people of Hong Kong to become the Chief Executive, there is nothing sinister about this arrangement. It is at least more democratic than the existing method of having the Chief Executive selected by the Election Committee of 1,200 people. Fundamentally, the core meaning of democracy is to enable public opinion to be expressed and respected. Ballots are the main tool for the expression of public opinion (in fact, in addition to public demonstrations, voting is the most common method for people to voice their political opinion). Therefore, having votes in people’s hand is a necessary condition (though not sufficient condition) of democracy. What is pocketed in "pocket it first" is the ballot, a sacred vote, a vote that candidates campaign to implore voters to cast, a vote that candidates need to beg the voters for (This is the reason why many LegCo members who used to be appointed in colonial times could not adapt to or were unwilling to participate in the election when the Hong Kong Legislative Council began to transform from a system of appointment to that of having elections in the 1980s and 1990s). "Having a vote is better than none”, "Whoever has a vote is the boss". The reasoning is obvious and also a kind of folk wisdom, without the need to prove so by advanced democratic theory. In an election, the more important is the position to be elected and the greater the power of the holder of the position, the greater is the value and significance of the votes for that election. Therefore, the value and significance of the votes for electing Legislative Councilors is higher than that for electing District Councilors. The value and significance of the votes for electing the Chief Executive is higher than that for electing Legislative Councilors. Under universal suffrage of Chief Executive, the competition for votes among candidates is a beneficial one for the public. It means that each candidate must devise his or her plan of proposed policies, and propose a platform attractive to majority of the people (particularly the majority formed by grassroots and the middle class). Furthermore, a chief executive fighting for re-election must also convince voters that he (she) has excellent achievements during his term, and therefore deserves voters’ support for re-election. Another sense of "pocket it first" is that although the existing proposal is not perfect, it is still worthy of acceptance because it is better to accept than reject it. Such line of thinking is consistent with common sense and experience. As Mr. Shih Wing-ching said: "The reform of human society has always evolved step-by-step through a way of 'pocket it first'. I have never seen a set of final solutions that can determine the future of mankind once and for all." (Note 2) From our life experience as well as the historical lessons of different communities, people accept challenges, try to achieve a breakthrough on a certain matter, and take the first step forward. After the first step, there will be the possibility of the second and third steps. When we attempt a new thing for the first time, we do not necessarily do well. But with the first experience, upon review and reflection afterwards, we can do better the second time. It is the same for Chief Executive election by universal suffrage. Earn the first experience and improve later. Doing it step by step is clearly more practical and feasible than an "all-in-one-step" approach. If "pocket the proposal first" has its justifications, then why are politicians of the pan-democratic camp so dismissive of the idea? I think it is mainly because they see the issue from the viewpoint and perspective of politicians, rather than that of the general public. It is normal that people in different circumstances and positions have different stance and views. I think the strong opposition of pan-democrats against “pocket it first” has its emotional side as well as its rational side. Emotionally speaking, they strongly supported civic nomination and opposed “screening” (based on so-called "patriotic” (love China and love Hong Kong) standard) before the August 31 Decision of the NPCSC. Given that the August 31 Decision runs contrary to the universal suffrage proposal they have been fighting for, they thus insist on opposing the proposal at all costs (the cost being Hong Kong remaining stagnant in constitutional reform) and are unwilling to "bend to compromise". If this is the case, are the pan-democrats acting impulsively? Is it wise to deprive millions of Hong Kong people from the right to elect the Chief Executive --- which is just “one step away from them” --- merely for the gratification in exercising the “veto” power? Is that fair and reasonable? However, in fact, pan-democrats are not completely dominated by their passions. Their position has its rational side. Economics suggests that the rational reasons behind human behavior can explain their behavior. Professor Francis Lui, an economist, has an insightful analysis of the reasoning of pan-democrats: "If the Chief Executive is elected by two million votes, his mandate will increase significantly. Politicians whose agenda rest on opposing government policies will not be as strong as before. "(Note 3); “In recent years, politics in Hong Kong is often dominated by scenes of government officials being sandbags to be beaten. If this “norm” is reversed when Chief Executive has a popular mandate, the art of struggles that many politicians are familiar with will become useless skills. Whether they will be able to maintain their current position is highly doubtful." (Note 4) In other words, due to the "high nomination threshold" of the August 31 Decision, pan-democrats are unlikely to be nominated as a candidate. Therefore, they are reluctant to see others (of "pro-establishment camp") becoming candidates and receiving through universal suffrage greater public mandate and acceptability than the pan-democratic Councilors. However, according to the principles of democracy, if the NC can propose a candidate with high popularity and capable of being elected by overwhelming votes in future, why should people be withheld from the opportunity to exercise their basic political right to cast a vote in the universal suffrage election of the Chief Executive to express their support for a specific candidate? Conversely, if all candidates nominated by the NC are considered disgusting by most people, why not give people a chance to voice their opinion through voting and to communicate through blank vote the fact that they are unwilling to see these candidates becoming chief executive? The voting results will be disclosed to the public, and the everyone in the world will know the number of votes gained by each candidate nominated by the NC. This will be the check and balance exercised by public opinion over the nominating power of NC, so that the NC cannot do anything arbitrarily at will. As the old Chinese saying goes, "Water can carry a boat, it can also overturn it." 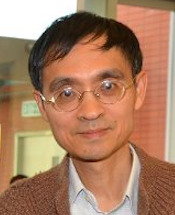 In the modern democratic system, "Votes can carry a boat, and can also overturn it.” Professor Ray Yip points out that "Pan-democrats...have not been able to put together a sufficiently strong argument to convince the public that .... rejecting the government’s electoral proposal is better than ‘pocketing it first’.” (Note 5) Professor Law Chi-kwong wrote: “To those who do not wish to see universal suffrage in Hong Kong and those ‘reluctant to forego the privilege of functional constituencies in the Legislative Council’, pan-democrats (by vetoing the political reform) are doing what these people desire”. "On the other hand, members of the public who hope to influence policies of the Chief Executive in future through voting in the CE election will be those who are most disappointed (by the veto). "(Note 6) I think these two scholars who sympathize with pan-democrats are speaking the truth. I hope that all in our community, especially those in support of democracy, can reflect upon these sayings. Written by Albert Chen, Chan Professor of Constitutional Law and member of the Basic Law Committee. The original Chinese version of this article was published in Ming Pao on 16 February 2015. Notes:1. Ming Pao, 1 February 2015 and 9 February 2015. 2. Shih Wing-ching, “Is ‘pocket it first’ worth considering?”(「袋住先」值得考慮嗎? ), Orange News. Available at http://www.orangenews.hk/blog/system/2015/02/04/010006599.shtml. 3. Francis Lui, "The List System and Blank Vote"(名單制與白票制), Hong Kong Economic Journal, 7 January 7 2015. 4. Francis Lui, "Three theories regarding the success or failure of constitutional reform in Hong Kong"(香港政改成敗的三套理論), Yazhou Zhoukan, 8 February 2015, p 11. 5. Ray Yip, "Does the Central Government still care about whether political reform will succeed?" (政改能否成事，中央還在乎嗎？), Ming Pao, 23 January 2015. 6. Law Chi-Kwong, "Facts and sincerity in ambiguity" (看不清的事實與誠意), Ming Pao, 3 February 2015.